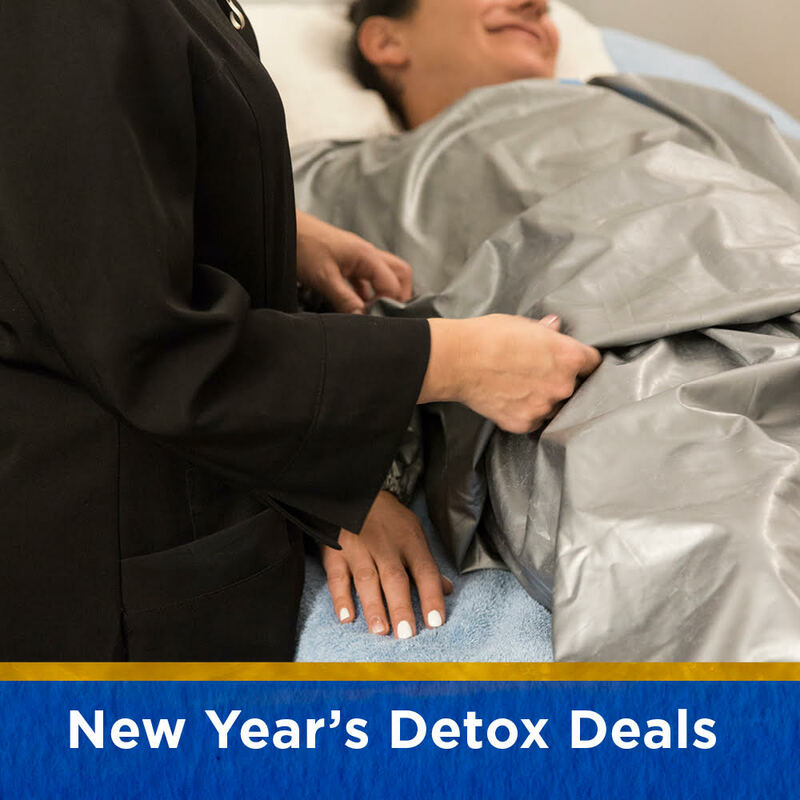 Transform your health and feel better through Eurowave treatments, Juvanesse UltraSonic treatments, or our highly-recommended total detox body wraps. All of our services are a great way to supplement a healthy lifestyle, and keep you empowered to continue making healthy decisions every day. 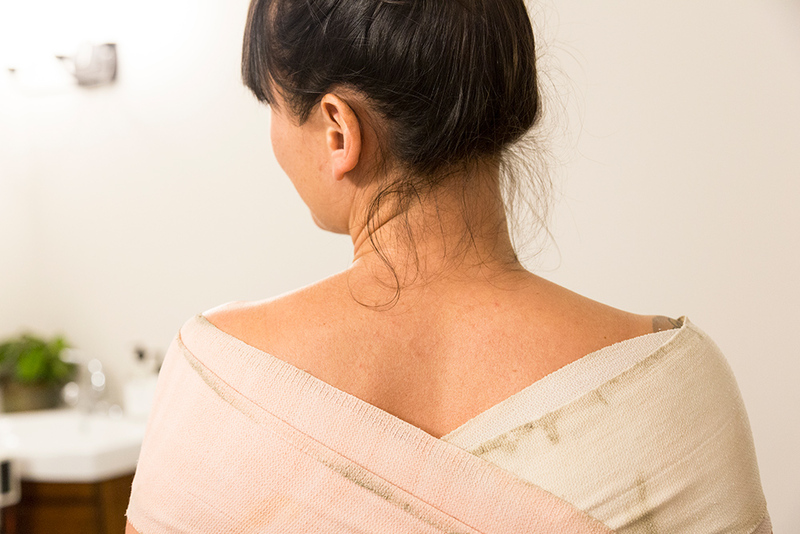 Our Detox Body Wraps are our signature service for skin toning and inch loss. How can you get the most benefits from this treatment? I want you to have the best possible results from your body wrap. Feel free to ask questions before, during or after your treatment… because when you feel good, we feel great! Want to get a jump on January and feel Fabufit? 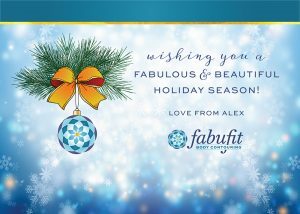 Let me help you counteract all that holiday snacking and boost your health and fitness efforts! and most exciting of all, with our exclusive limited time New Year’s offers, SAVE MONEY! 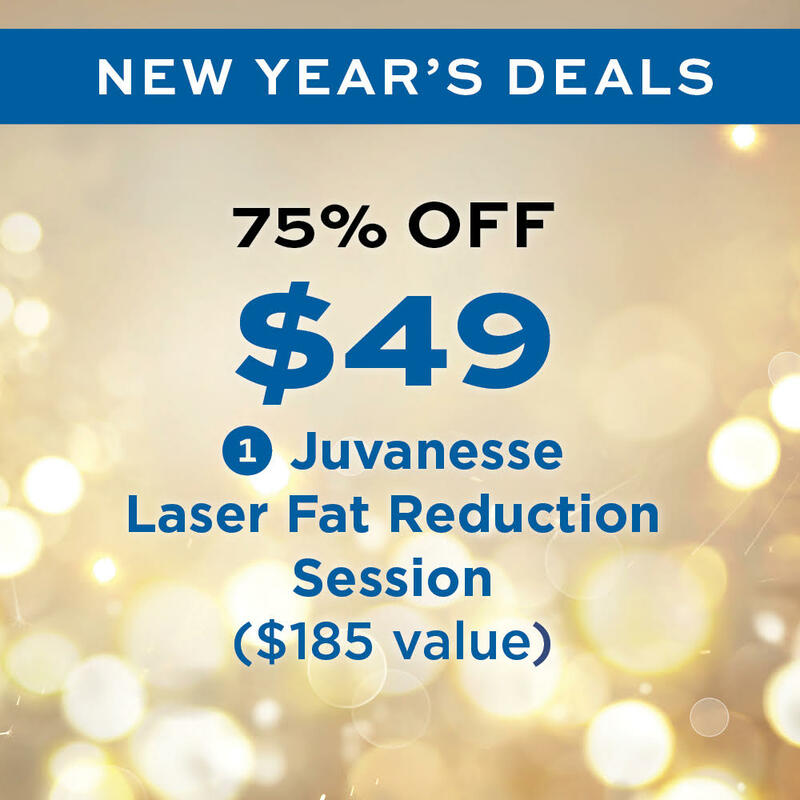 Start the new year with some self-love and book one of our specials now before they are all gone. 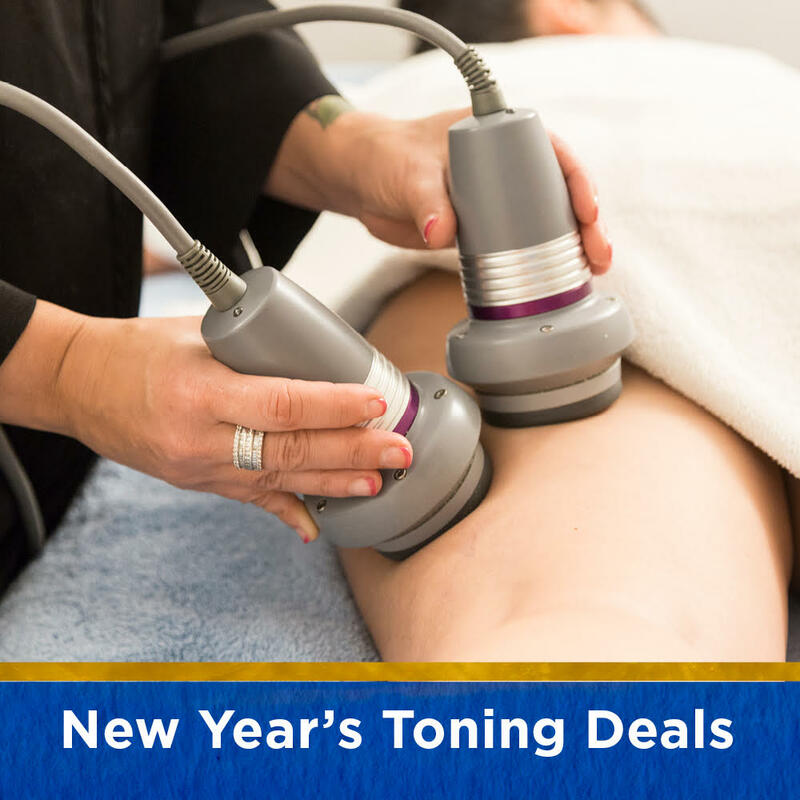 Our signature service for inch loss and skin toning with a take-home bonus to extend your results. Combining our two most complimentary treatments for super inch loss. 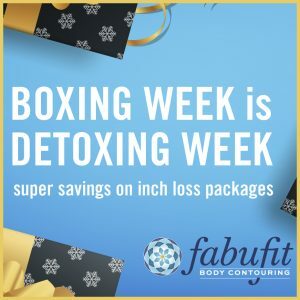 Advanced fat reduction, noticeable inch and detox for our most effective slimming combination treatment… with a take-home bonus to extend your results. Double Detox (40% OFF): Combining Two of Our Most Popular Treatments for Double-Duty Inch Loss. I can’t believe it’s already holiday time. All those gatherings and parties are coming up. I want to help you look fabulous. Everyone has a different reason for wanting to look great this season. I’ve heard them all, like increasing confidence or impressing a new love. Some even want to make an old flame jealous. I’ve got you covered! 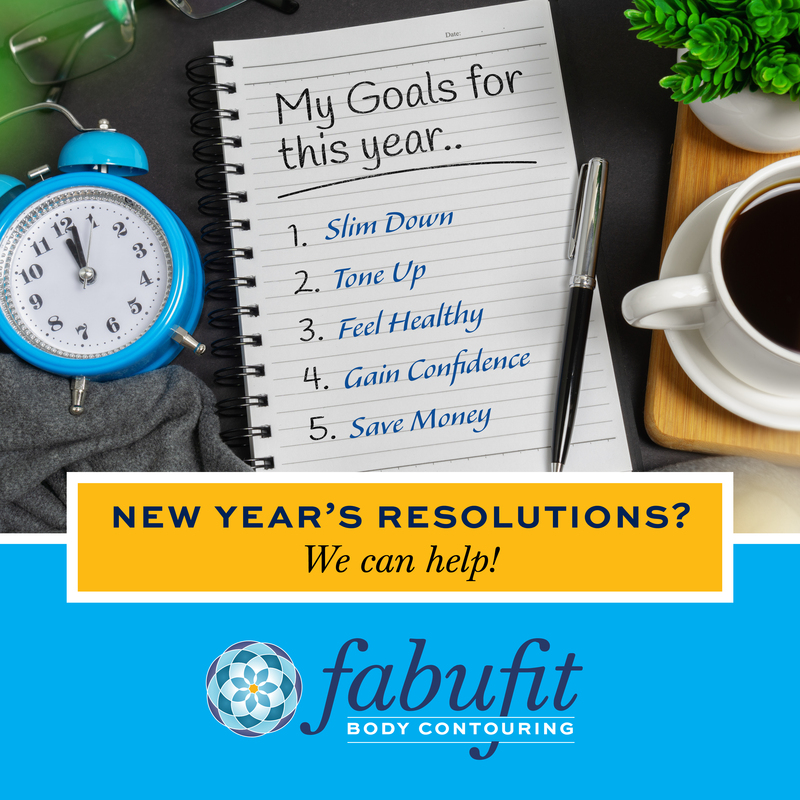 I can help you fit into your party outfit, look great in your Christmas PJs and offset some of the inevitable holiday eating. 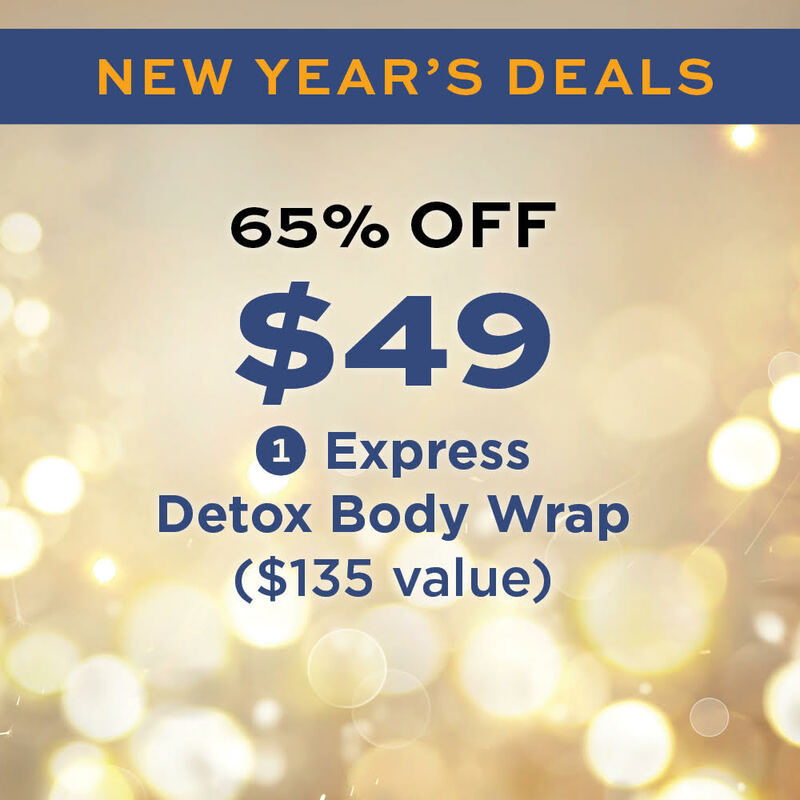 While I offer many different contouring services, my #1 recommendation for holiday prep is a detox body wrap. It’s your best option for a quick, effective and noticeable slimming solution. My body wraps help draw out toxins and reduce bloating, while offering inch loss and skin toning. The effect is immediate and will have you wishing you had RSVP’d to more events! 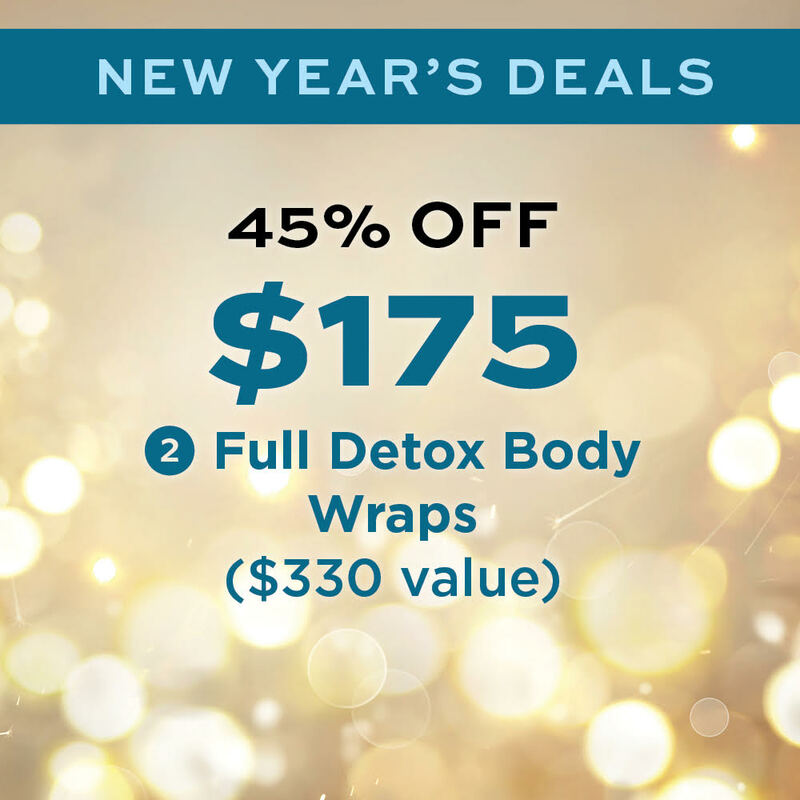 Right now, I’m offering a buy one get one free detox body wrap. This means you can use one now before the holidays and save one for the future. This offer is valid until December 20, 2018 and must be used by the same person. So act now to get your pre-holiday booking! I’ve also got gift certificates for the special someones on your list. 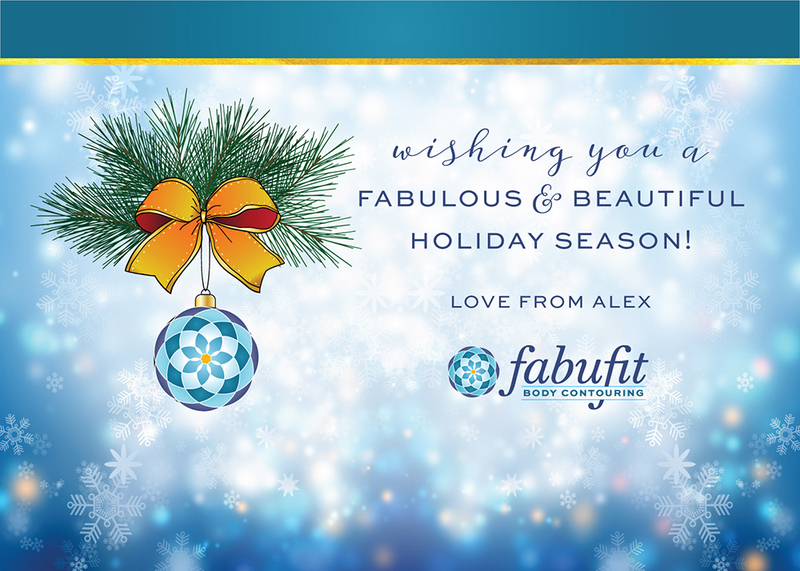 I’d like to wish you a fabulous & beautiful holiday season! Thank you for your support throughout the year! Valentine’s is supposed to be about Love ❤️ but sometimes those feeling gets lost. Some people feel pressure, others feel lonely. We can even become competitive or compare ones self to others. If you’re feeling blah about Valentine’s Day….I suggest focusing on self love. Getting into some healthy self-care activity’s really gets the happiness juices flowing. Activities such as going for a walk, yoga, swimming, hiking, or evening cooking a healthy meal for yourself are positive examples of self love. One of my favorite things to do, before I even get out of bed, is daily positive affirmations. 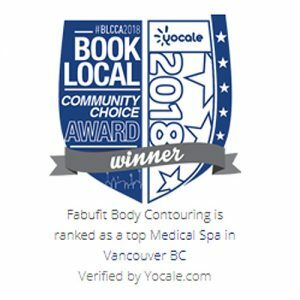 At Fabufit, we are passionate about self-care and self-love ALL year, not just on Valentine’s Day! When you visit us , you’ll discover we are positive caring and supportive. Here are the special offers to help you celebrate the Valentines season, whether it’s self love or buying that special someone a gift! 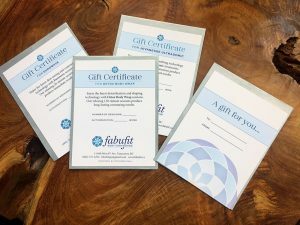 ️ Buy a $75 gift card, get an extra $25. These are limited time offers. Call us today to book your appointment or to purchase a gift card. Now is the time many people start thinking about health goals, such as eating cleaner, getting more rest, or hitting the gym more often. I can help you with weight loss, toning, inch loss, targeting troubled areas, and making you look & feel FABUFIT! I truly appreciate the opportunity to support all of you through treatments, nutrition, and healthier living. 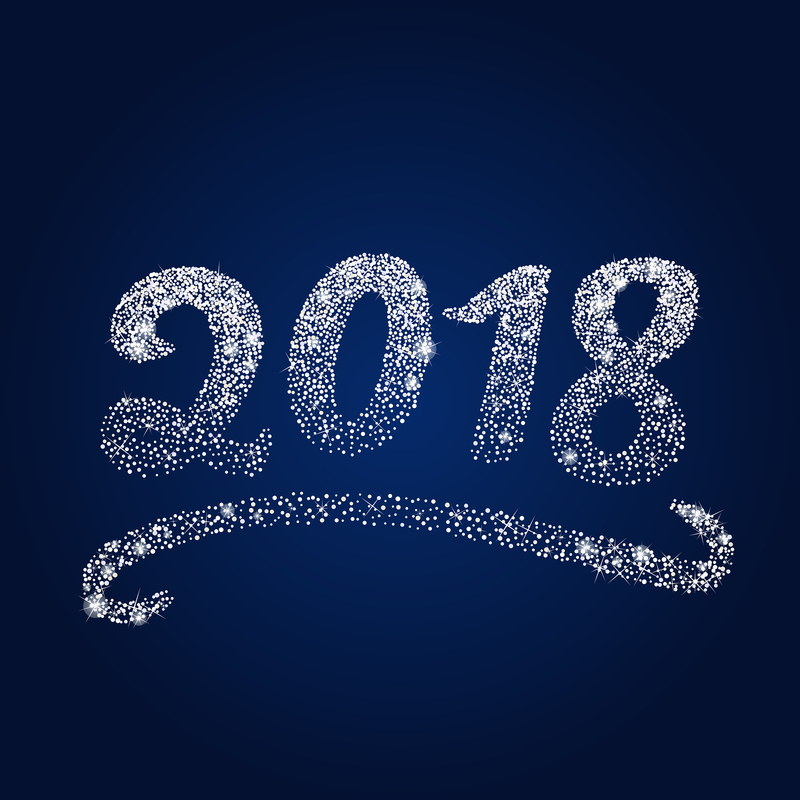 Here’s to another incredible year! Book now by calling / texting me at (604) 727-6254. To receive more special offers like this subscribe to my newsletter. Now you can buy our $49 Mini Express Body Wraps online! Press the buy now button below to pay online. Select credit card or PayPal to purchase yours today. This is a limited time offer so act fast! 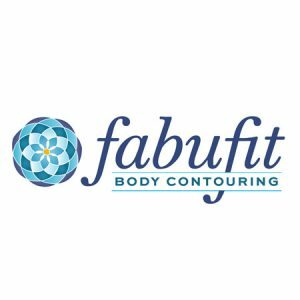 I’m super excited to announce a new look for Fabufit Body Contouring ❤️❤️❤️ A few months ago, I decided it was time for a change, for an upgrade, to reflect a renewed energy and focus on my business. So I’m very proud to present a new logo, website, with great new package deals. There will also be a monthly blog to keep you updated on health, beauty, fitness, & nutrition. Many clients come to me telling me they are ready for a new start as well, a renewed focus on their health, fitness and appearance. I love sharing in their progress, helping with motivation and support along their way. I’m excited to help them take the next step with Fabufit services including Detox BodyWraps, Eurowave and Juvanesse. I appreciate your business, friendship and support over the years and would love to have you celebrate this re-launch with me. Spread the word to everyone you know, as we all love to feel and look great. Purchase a gift card for the special someone this holiday season. Call today to find out more details.